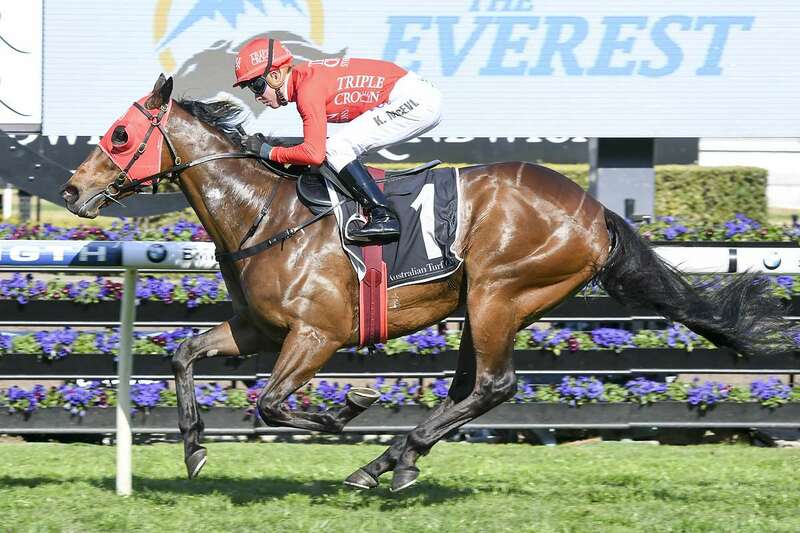 TRIPLE CROWN’S Group 1-winning sprinter Redzel is among a shortlist of five horses that will be considered for the Australian Turf Club’s slot in the first running of the $10,000,000 The Everest on October 14, after ATC CEO Darren Pearce made the announcement this morning to Andrew Bensley’s Racing HQ program. The flying son of Snitzel was hugely impressive in taking the Group 3 Concorde Stakes at Royal Randwick on Saturday, giving weight and a two length beating to the field, a performance which has attracted the attention of the ATC during their selection process. This list of five was narrowed down from a total of 24 applications for the slot, and Darren Pearce said negotiations will continue with all five of these horses over the coming weeks. “It’s been a really great process for ATC we opened up interest to trainers both here and overseas we were delighted to have 24 horses apply for the slot,” he said. “Yesterday we had an ATC board meeting to reduce that number down to five. “Those five horses are Brave Smash, Clearly innocent, Global Glamour, Le Romain and Redzel. “We wanted to personally thank all those who applied. We were honoured to receive those applications. “The final list shuffled around as we worked through the form and now we have a more difficult task in reducing that list of five down to one. On Redzel Pearce added that the five-year-old is getting better with every run, and the board were impressed by his victory in Saturday’s Concorde Stakes. “Redzel is going from strength from strength,” he added. “He won the Doomben 10,000 and it was a great win here on Saturday. “They’re all tough, proven gallopers and we’ll be watching them closely. We will work with all the connections over the coming days to work through their interests and talk through their program.